As Le Monde brought into public light the Catherine Jessus affair with its whitewashed data manipulation and the growing academic protest, a counter-revolution put its foot in. A signature list in the worst Stalinist tradition was published, organised by the very elite of French academia (mostly members of Academie de Sciences), and signed by hundreds, mostly professors and CNRS group leaders, including a former CNRS president. Their demands, endorsed in a secret press release by current CNRS president and Sorbonne University president: punishment for 10 anonymous authors of the Jessus counter-report and for a Le Monde journalist. French science revolution is happening, and the corrupt elites are scared. As the daily Le Monde started brought into the public light the Catherine Jessus affair with its whitewashed data manipulation and the growing academic protest against such institutional endorsement of research misconduct, a counter-revolution put its foot in it. A signature list in the worst Stalinist tradition was published, organised by the very elite of French academia (mostly members of Academie de Sciences), and signed by hundreds, mostly professors and CNRS group leaders, including the former CNRS president Alain Fuchs, the one who in 2015 oversaw the secret Olivier Voinnet investigation. The Stalinists demand: to uncover the identities of the 10 anonymous authors of the counter-report, which exposed the corruption and incompetence of the Jessus investigation by the Sorbonne University, and to have them as well as the Le Monde journalist David Larousserie punished. Those demands were endorsed in a secret press release (sic!) by CNRS president Antoine Petit and Sorbonne University president Jean Chambaz. Other newspapers might have been intimidated against such massive and organised pushback from the elites of society. But the Pravda-esque denunciation of traitors and enemies of the people is unlikely to lead to an intended purge. It appears to have already now backfired badly, and the Stalinists who signed it already started regretting it. Indeed, many names were removed, and the list was closed to further signing, left standing at 503 shameful sycophantic signatures. Another main French daily, Le Figaro, brought its own Jessus-critical article, while Le Monde hit CNRS and Sorbonne University back where it hurts. The newspaper exposed the enormous conflict of interest behind the Jessus investigation and made clear who the man behind that whitewashing farce was and still is: the Sorbonne professor of biochemistry and cell biology, Francis-Andre Wollman, Academie de Sciences member and Knight of the Honour Legion. Wollman was defending Jessus and attacking her critics long before he was tasked with investigating her, and as Le Monde indicated, the investigative report was written by or at least together with Jessus herself. Finally, Le Monde reported that the Stalinist signature collection was published on a web platform hosted by Wollman and Chambaz. From another source we learned the investigative report lied that the journals involved accepted the explanations and agreed not to do anything: the journal editors actually are still deliberating what to do about the data manipulations in Jessus papers. Here I publish the English version of the counter-report, together with a statement forwarded to me by its 10 authors, so that also the international community can see what disreputable deed Wollmann and his CNRS Politburo pulled off and now defend tooth and nail. Wollman, this Chicken of the Dishonour Legion, is still afraid of admitting his role as Jessus investigator and pretends to be a victim of persecution by his 10 anonymous peers. Chambaz was elected as Chair of League of European Research Universities (LERU), so you can imagine which policies we can expect from him there. CNRS president Petit is simply scared of his Politburo comrades and does as he is told. He recently opened a conference in Montpellier together with Jessus, to show loyalty. What we have here, is a lesson on how science is utterly unable to self-correct itself and how important investigative journalism is for science to function. Were it not for Le Monde, the counter-revolution would have been a horrible success. The Politburo of Jessus, Wollman, Petit, Chambaz and Fuchs would have responded to anonymous protests with a purge. Not just junior researchers of CNRS would be screened for political loyalty and sacked where dissident activities were suspected, also senior tenured CNRS figures would face serious consequences. Colleagues would rat each other out, to advance own career. Data manipulation would become accepted scientific practice in French science (at least for those loyal to the Politburo), and indeed some of the characters who signed that Stalinist turd of an open letter had their own papers flagged for suspicious practices on PubPeer. The Chronic of Revolution so far, assisted by the chronic published by Le Monde. 5 September 2017. I published an article on my site listing some evidence of data manipulations in papers co-authored by Catherine Jessus, it was updated with additional evidence coming in from my readers. Same day I shared the evidence on PubPeer, linking to my article. The hyperlinks and credits to my unnamed readers were removed by PubPeer moderation, only uncommented images were left standing. 13 September 2017. Le Monde was interviewing Jessus about my article and PubPeer evidence. Wollman hurried out of his office to educate the journalists how to think properly: the accusations are “utterly stupid“, and that “rigour and integrity of Catherine Jessus impressed the entire community“. 18 January 2018. CNRS interim president Anne Peyroche was deposed after data manipulations in her papers were reported by my readers on PubPeer (against particularly heavy moderation) and then on my site in November 2017. Peyroche now faces full scale investigations, by the book, and a possible sack, though the central 2 Molecular Cell papers with most worrisome evidence both feature the same CNRS-employed author, Benoit Le Tallec. Antoine Petit took over as CNRS president. bailiffs seizing experimental notebooks, etc. So the probability is high that there is indeed a political aspect. Biology to negotiate a favourable editorial decision. She declared that the Sorbonne investigation took place “from September to November” 2017. Le Monde also writes that Jessus’ English-language explanations of the findings of the investigative committee are “word for word match the translation of the expert report”. Did she actually investigate herself? 20 February 2018. I published an article reporting recent paper corrections by Jessus, which appeared in Cell Cycle on 27 January and in Journal of Cell Science on 1 February respectively, and highlighted the irregularities in those corrections. 21 February 2018. CNRS issued a press release accusing me personally of libel and lies, and publishes the full investigative report by the Sorbonne University, which was dated with 16 February. The investigation is said to have taken place 18 October 2017- 15 February 2018. The report’s authors are not named, the data manipulations were either declared to be good scientific practice or defended as non-existent, despite absence of original data. Read my article for details. Le Monde reported (very critically) on 26 February. Petit used the occasion to call PubPeer commenters “assholes” (in French connards). 15 March 2018. Based on whistleblower information, I reveal in my article the suspected identity of the author of the Sorbonne report. It is the cell biologist and Sorbonne professor Francis-Andre Wollman, and in fact Le Monde later confirms that the report is signed with same initials “FAW” which Wollman uses for his public documents, and that his identity was “confirmed to us by several independent sources, but not formally by the person concerned“. In a radio interview, Petit threatens to use internet surveillance tools to expose anonymous PubPeer commenters, whose activities he described as similar to paedophilia slander. 16 May 2018. A Counter-report is published on the website Sauvons l’Université !, authored by 10 anonymous French biologists. It explains what a western blot is, dismantles the arguments of the Sorbonne report one by one, elaborates why copy-pasting pictures of gel bands is not acceptable practice in science, why original data and especially its non-existence is important, and declares the commission to be incompetent at best. See my article here. 22 May 2018. Le Monde publishes the article “Intégrité scientifique à géométrie variable” describing the counter-report. The journalists support the criticisms against the Sorbonne investigation with statements and feedback from many other anonymous scientists and one named: the Barcelona-based plant biologist and CNRS scientific advisory board member Pere Puigdomènech. “I do not see where the conflict of interest is, which is a rather Anglo-Saxon concept. It’s not even in our French manners. You have to trust the experts”. “Inclusion on the list of signatories is closed after more than 500 signatures”. “Sorbonne University and the CNRS vouch for the scientific reputation of the experts chosen and the absence of any conflict of interest. They accept the choice of not having disclosed their identities, precisely to protect them from this type of attacks”. A paper Frochot et al 2012 co-authored by Chambaz turned out to have traces suggestive of data manipulation, as spotted by my readers. PubPeer edited my comment to remove my statement of Chambaz being president of Sorbonne University and LERU. But an anonymous reply below passed moderation. “the CNRS did not have a permanent tool, clear and shared, to deal with cases of suspicion of scientific fraud”. Science) were accepted. They still are not, more 3 months after the publication of the report”. Révélation: la pétition rassemblée par Fuchs est hébergée par l'association dont le signataires du rapport commandé par Chambaz, Francis-André Wollman, est vice-président. Et Francis-André Wollman, pour être reconnu dans sa discipline, est en conflit d'intérêt notoire. So who signed that Stalinist letter? Naturally, most research directors at Jessus’ own institute INSB-CNRS in Paris signed. Otherwise it was mostly CNRS researchers trying to prove their loyalty to the regime before the purge starts. Some probably had more personal reasons to sign against research integrity: several signatories had their own papers flagged on PubPeer. Martin Crespi even featured in one of my articles, others are Guido Kroemer (with a rather long list of questionable achievements on PubPeer), Arndt Benecke (an interesting paper here) and Olivier Voinnet collaborator Monsef Benkirane (2 papers here). The latter also organised a conference at Montpellier, which was opened on 8 June 2018 by Petit, Jessus and ERC president Jean-Pierre Bourguignon, as if nothing at all has happened. Two of the invited speakers were Academie de Sciences member Geneviève Almouzni and INSERM ethics board member and Sorbonne professor Hervé Chneiweiss, both have organised that Stalinist signature collection. Did IGH director Benkirane sign strategically, to get all those Jessus-friendly eminent speakers to come to his conference? As mentioned already, very obvious name is that of former CNRS president Alain Fuchs. That old bureaucrat, together with the chief CNRS biologist Jessus, was overseeing the investigation of the (until recently) biggest scandal in French biological research: that of Olivier Voinnet, originally a research director at a CNRS plant science institute IBMP in Strasbourg. As the evidence on PubPeer grew and grew, my reporting (back then for a German magazine) set off an avalanche in January 2015, eventually Le Monde reported and the affair started properly. Item 2: The present sanction will be the object of a publication in the official bulletin of the CNRS”. The decision was thus to suspend Dunoyer from CNRS employment for 1 year (of which 11 months were then pardoned, but earlier this year 2018 Dunoyer chose to close shop and leave France), while Voinnet was suspended for 2 years, which basically left this first class research director stranded where he was originality delegated as professor: at ETH Zürich in Switzerland. Which has absolutely no plans of getting rid of their cheating French guest, especially since he resumed publishing on a rather decent level. Just before that CNRS decision on Voinnet was made public in summer 2015, Fuchs quickly redefined what research fraud is, or rather what it is not: namely data manipulation is not fraud. What Voinnet did, was defined by Fuchs as research misconduct of second degree, given that the Voinnet lab did some experiments after all and the gel bands were not drawn with a pencil. With the Jessus affair not even 3 years later, even digital gel image manipulation and band copy-paste was removed from definition of research misconduct, by the Politburo of Fuchs, Wollman, Chambaz, its new member Petit, and apparently also Jessus, who as it seems from Le Monde reporting, was investigating herself. Voinnet was punished basically for same things Jessus was found to have done correctly: copy-pasting of pictures of gel bands between images of gels. Qualitatively, what we find in Jessus and Voinnet papers is very similar and equally disreputable. There is only the difference of quantity, because with Voinnet almost every single one of his many papers turned out manipulated to some degree, with new evidence being found whenever someone bothers to look. In fact, here is another dossier of some known and some hitherto unknown Voinnet data manipulations I received, addressing the Dunoyer et al Nature Genetics 2006 paper. Thus, the cartoon Soviet dialectics of CNRS and French science elites entered a coucou phase. How can same kind of data manipulations be research misconduct in one case and good scientific practice in another? How loyal does one have to be to the Party to believe that Voinnet is guilty, and Jessus is a victim of a witch hunt, if they both have duplicated gel bands in their papers? How can Wollman be pronounced an independent, unbiased and conflict of interest-free investigator while he himself declares yes, I called the evidence “debile” from day one, yes I let my friend Catherine help me write the report about herself, but so what? To Wollman, the concept of conflict of interest doesn’t exist in France, while this pompous fluffed-up Chicken of Dishonour Legion sneakily sets up signature lists calling for the heads of his anonymous critics, but is afraid to take the shame and admit what everyone already knows anyway. The 10 authors provided me also with an English-language statement, a 3 page document I share here. This statement and the English version of the 48-page report were also published on Sauvons l’Université !. Some excerpts follow. “We are a group of concerned career researchers in genetics, biochemistry, cellular and molecular biology, who have fact-checked this report and analysed it point by point. We conclude that each and every one of the arguments of the Commission of Inquiry go against the common rules of good scientific practice and interpretation of results which form the basis of research integrity. Worse still, and this is the reason that we were pushed to react with our open letter, as it puts the weight of the most respected scientific institutions in the country behind actually encouraging this kind of manipulation of images, which is universally recognized as fabrications and falsifications of results. Here we are indeed faced with a paradox: the very institutions put in place by the CNRS and by Sorbonne University to combat scientific fraud, have instead become themselves complicit in the commission of such fraud. Instead of exposing and imposing consequences on the disgraced researchers, thus upholding good standards in French institutions, the authorities chose to conceal, cover-up, and whitewash this fraud through a misleading and factually incorrect report aimed at confusing a non-scientific audience. “CNRS and Sorbonne University have nevertheless obtained the support of 503 prominently positioned French scientists in defense of a scientifically baseless inquiry report that exonerates and encourages scientific fraud. Furthermore they claim as justification that “practices surrounding the publication of scientific images have evolved considerably over the past 15 years” and that “the scientific journals where these works have been published have accepted the corrections proposed by the authors”(6). However, both these arguments are incorrect. Firstly, good or bad scientific practices are independent of the year of publication; recopying and recycling of images is simply fraud. In fact it has become necessary over the last fifteen years for scientific publishers to write more and more detailed instructions for good scientific practice, in an attempt to reduce the increasingly frequent cases of fraud that are being encountered. Secondly, only one of the incriminated articles (#10, Daldello et al.) has been accepted for correction by the Journal of Cell Science”. Les pétitionnaires sont en plein #EffetStreisand… Catherine #Jessus n'avait pas besoin de soutiens comme ça! All that Pravda-esque Stalinist travesty might have been for nothing, except for a major embarrassment for its signatories. As I learned, Jessus’ term as director of CNRS biology section expires by the end of 2018. She is unlikely to candidate again. But those 503 reactionary signatories of the pro-Jessus rally already chose to stand up and be counted while following the mental contortion of 2+2=5 as ordered by the CNRS Politburo. Now their names will remain in public domain, as a warning to prospective PhD students and open to peer and media ridicule. Deleting the signature webpage won’t help. We all made backups. As said before the protection of society from fraudulent behavior among researchers are of the utmost importance. It need to be done by researchers in cooperation with journalists. These investigations need to be financed through the research budget and at once. Those who dare to write about fraudulent behavior among researchers also need to be protected against lawsuits from economically strong researchers that takes every single possibility to stop investigations and go on with their lucrative business. Without an ongoing critical independent investigation of research protected from legal reprisals economically, funding’s risk being misused, and even worse people hurt and the marked mislead. This is a matter of protection of the investment that society makes. It is naïve to claim this is not needed. An independent investigation based on knowledge in the field is of course different from using a consultant distant in knowledge from the actual topic and eager to get payed again for the same job and by that deliver the answer the job requestor prefer. Our political representatives need to be informed and act to earmark 5-10% of the research budget for independent investigations done by researchers and journalists with detailed knowledge in the actual field. I think the only thing left to do to save science in France is the nuclear option: CNRS delenda est!!!! The issue is how things might be improved in France. Do you think it is the best of all possible worlds? Harvard does have problems, but so do other places. 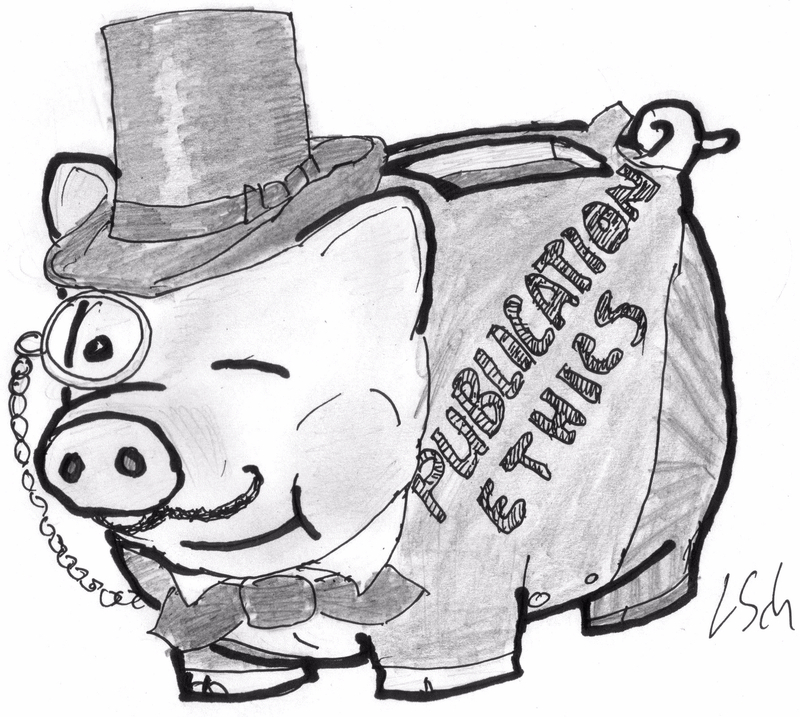 Retractions for misconduct does mean there is a problem. When poor science is not corrected, or retracted, that is also a problem. We are probably in the early stages of correcting and retracted papers so what we see now may not be the true picture. Cultures which are open to criticism may lead to more corrections and retractions than cultures which are closed to criticism. All management systems come and go. The Roman Empire came and went, why not the CNRS? France should remember its history and should consider the option of change. In earlier times many people thought that the existence of France depended on the body of the king. We now know that was untrue. Science in France does not depend on the CNRS. It is the other way around, the CNRS depends on science in France. Managements systems are subject to evolutionary pressures, but that does not mean they are best of all possible management systems. This means simply that Harvard is reacting to fraud. This does not say anything about the actual level of fraud. When reporting fraud is forbidden, like in France, there is no retraction. The authors of the Counter-report now set up their own website. It even has a contact form, which Petit or Chambaz can use to issue their threats directly. Obviously not Wollman, because he is a chicken. Too funny. One year ago, Catherine Jessus gave a course on research integrity to new INSB employees. On 21 February 2018 CNRS President Petit promoted Catherine Jessus, so she gets paid more. What for, actually? What is the Jessus affair about? A research article is a written piece that discusses a theory or the outcome of scientific research. It is supported by experimental data. 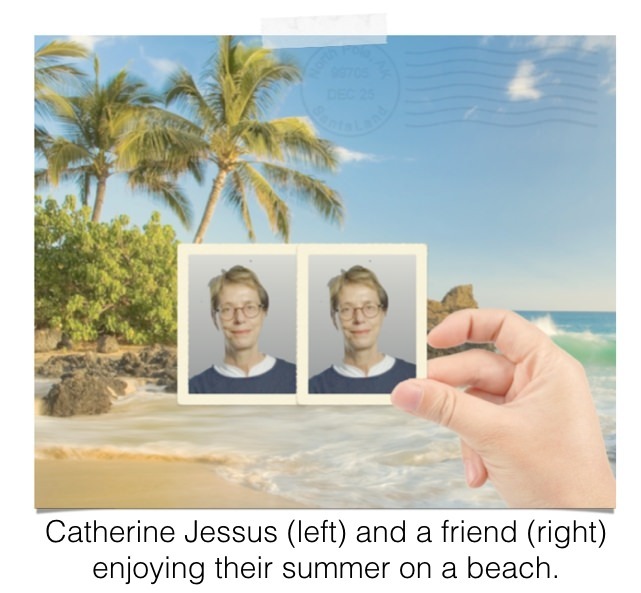 Catherine Jessus and her co-authors have published several research articles partially based on falsified experimental data. First proofs were revealed on Pubpeer, a post-publication peer-review website that anybody can use to review already published articles. Science journalists from online blogs or news agencies have commented on and publicly asked for more details about those facts. The CNRS and Sorbonne University (SU) have responded to these critics by publishing an anonymous report that claims full innocence of C. Jessus and tries to justify the misconducts, against international scientific standards. Whistleblower informations and careful analysis of this report showed that it was written by Francis-André Wollman and C. Jessus herself. This is against usual practice that an investigation into a misconduct case should be performed by an independent authority. It has not been the case here, because F.-A. Wollman has a direct relationship of subordination to C. Jessus, and a person cannot investigate herself either. How was this received by the scientific community? Further developments of this affair showed that there is no such thing as ‘the-scientific-community-as-a-whole’. To many researchers, this situation was unacceptable. A group of 10 anonymous researchers published a counter-report, re-analyzing the falsified experimental data and the CNRS-SU complacency report. This report is anonymous to avoid retaliation, an option made clear by Antoine Petit, head of CNRS, in a public radio interview. This also explains why the rogue report received little public support, while being welcome and praised in private conversations. After yet another article in a national newspaper about the case, 503 elite scientists, led by several high-ranked mandarins from CNRS and Académie des Sciences, published an open letter in support of the CNRS-SU convenience report conclusions and claiming incompetence of both the rogue report authors and science journalist who reported about the case. Why is the situation still bad? The elite open letter widened the gap between actual bench scientists and research bureaucrats. C. Jessus is not any random researcher. As head of CNRS Life Sciences department, her attitude is expected to be of exemplary nature. The current situation is worsened by her role in previous scientific misconduct cases. For example, as head of Life Sciences, she set up the investigation into Olivier Voinnet case, which led to severe professional sanctions for the same kind of misconducts. A similar more recent case involved Anne Peyroche, who was deposed after similar misconducts allegations, despite her role as CNRS interim president. The primary CNRS-SU response violates existing rules and international scientific standards. The expected behavior would be to acknowledge errors, and prepare corrections to articles with faulty material or methods. In case corrections were not accepted by journal editors, proven manipulated papers should be retracted. This is the usual procedure by which science is supposed to correct itself. This can be slow and painful, but is the only option to restore both corporate, community, and public trust. Considering the story so far, one might be led to interpret that as a warning rather than a promise, but there is always hope. However, as long as such offices are not clearly separated in terms of funding, employment and the posibility to retaliate from the organisation they are ment to ad- and supervise, I do not see how a basic condition for an ubiased deliberation of potential misconduct, namely the absence of conflict of intetest, can be provided. Korn et al. 1981 Korn H, Triller A, Mallet A, Faber DS. Fluctuating responses at a central synapse: n of binomial fit predicts number of stained presynaptic boutons. Science 213: 898–901, 1981. Korn et al. 1982 Korn H, Triller A, Mallet A, Faber DS. Transmission at a central inhibitory synapse. II. Quantal description of release, with a physical correlate for binomial n. J Neurophysiol 48: 679–707, 1982. Ninio J. Doubts about quantal analysis.J Neurophysiol. 2007 Sep;98(3):1827-35; author reply 1836-40. All that was known in the Neuro community since middle eighties. It plagued relations in the community for years. One candidate CNRS researcher in Korn’s lab was sacked. One researcher from Korn’s lab, who could not replicate the findings, was abruptly moved to another lab by the CNRS Biology Director. Korn had a dominant political situation notably at INSERM from where he blocked several people from getting labs for themselves. All that finally erupted in the early 2000’s, largely because NSF (who funded Korn’s collaborator Don Faber) decided to investigate the case, because the formerly fired CNRS researchers did not let things go, and because of Jacques Ninio’s paper. I remember a letter to Nature from Korn and Triller, basically saying “after 20 years why don’t we just forget ?” ! As a CNRS Researcher in Biology from the 70’s to now I feel I have seen organizing of the “conflit d’intérêt” throughout. And since the 90’s it was – very regrettably – often mixed with defending French Science.